We have received a lot of strange looks when telling people that we visited Nicaragua for a vacation. “Was it dangerous?” “You brought your kids there?” Both were common questions. 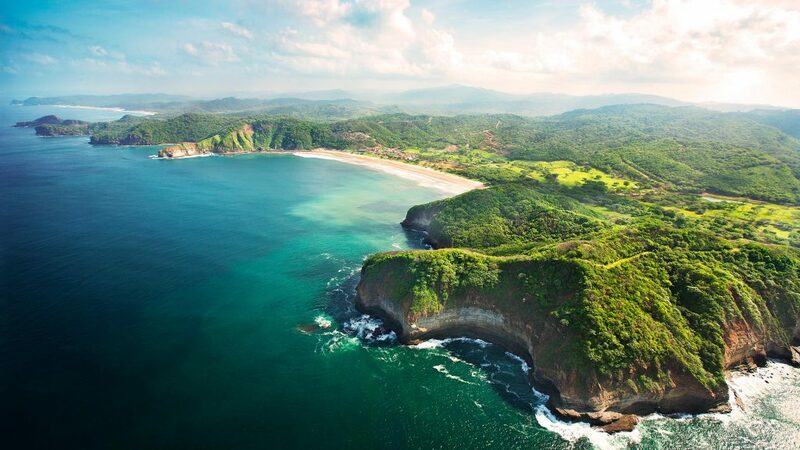 On the contrary, Nicaragua is not only safe, but a fantastic vacation option. Located in Central America, Nicaragua is relatively close, and still has the rustic charm that many loved about Costa Rica from years past. More and more people are asking me about family friendly Nicaragua! 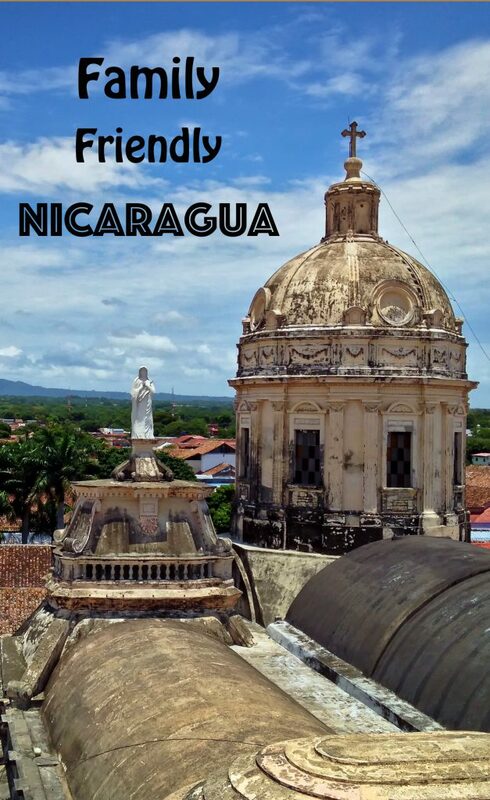 Most of our travels had focused on Europe, Middle East and South East Asia when Nicaragua arrived on our radar. Having never been near there, we did a little reasearch first. Research about the past problems, the government and the tourism industry there. We were pleasantly surprised by what we found. 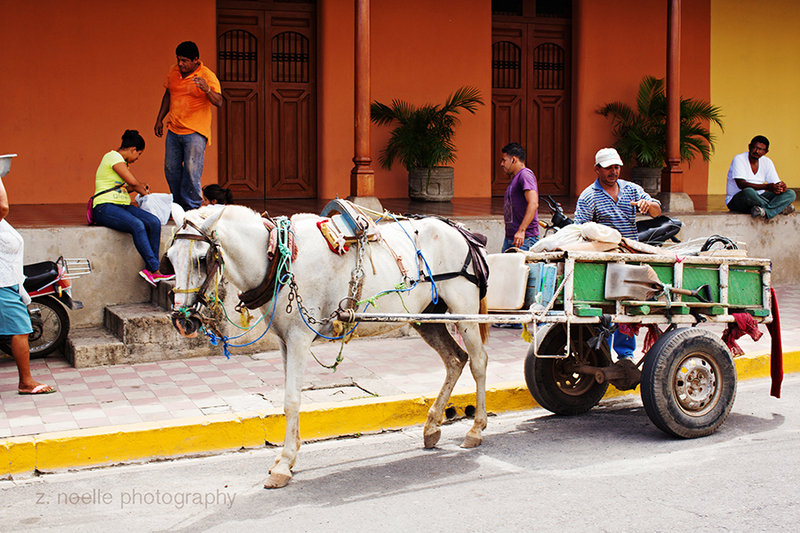 The Nicaraguan Revolution ended in 1990 and the country has been working on building their tourism ever since. Plenty of airlines fly to Nicaragua, including American, Delta, United and Avianca, to name a few. Typically, tourists fly to the capital, Managua, alternatively to Liberia, Costa Rica. There are many shuttle services and tour companies that can provide transportation from either airport. Depending on where you are planning on visiting, driving times from either airports vary from 2 to 3 hours. Two resorts on the emerald Coast even include a quick flight from either airport to their own nearby airstrip, Costa Esmerelda Airport. There are plenty of flights from the United States, including non-stops from Houston to Managua or non-stops from Denver to Liberia. The drive is rustic and filled with scenery such as dry forests, jungles, coastline and plenty of cows and chickens. 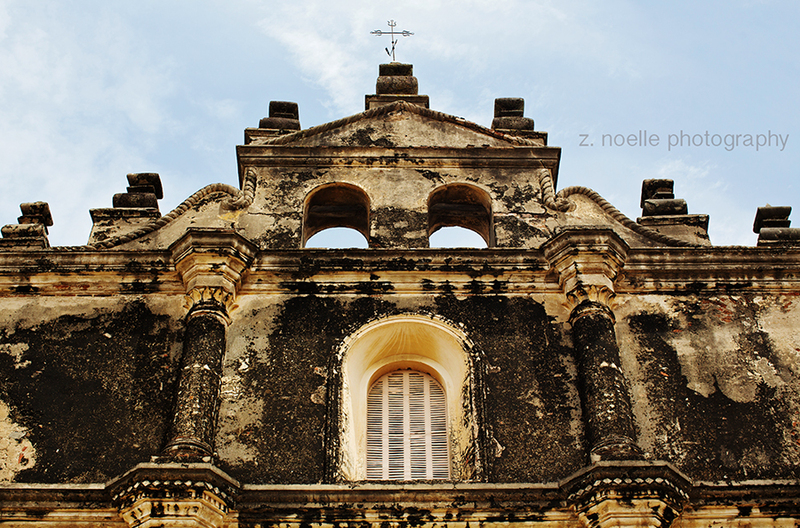 There is no shortage of things to look at during a drive in Nicaragua! 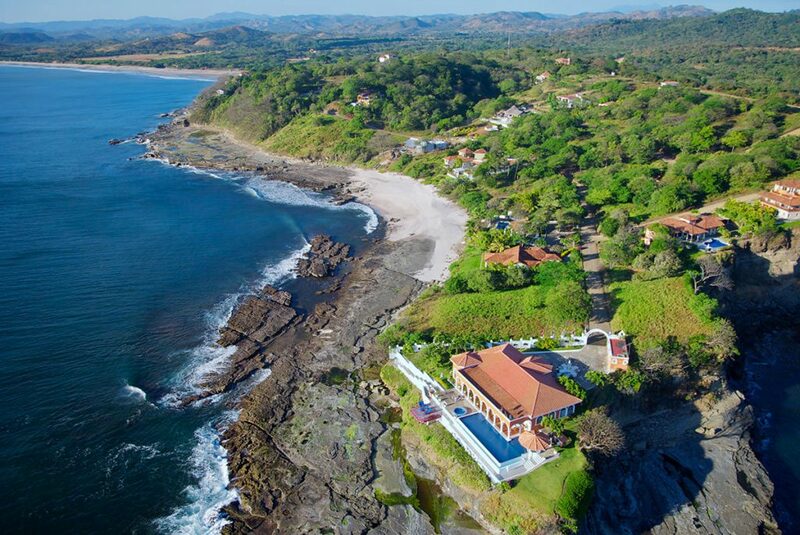 Villas, apartments, beach shacks and 5 stars hotels all exist in Nicaragua. Most contribute to the family friendly Nicaragua reputation. *Villas: VRBOs and Airbnbs exist all over the country. But not all are created equal. Do your research. A villa can be a great option for a family, but having air conditioning go out when it’s 95 degrees or finding out that “booster seats included” translates to a Bumbo seat strapped to a chair is no fun. Best to either have a connection with someone familiar with the villas or have a travel agent find one through their contacts. Travel industry curated villas are the way to go. 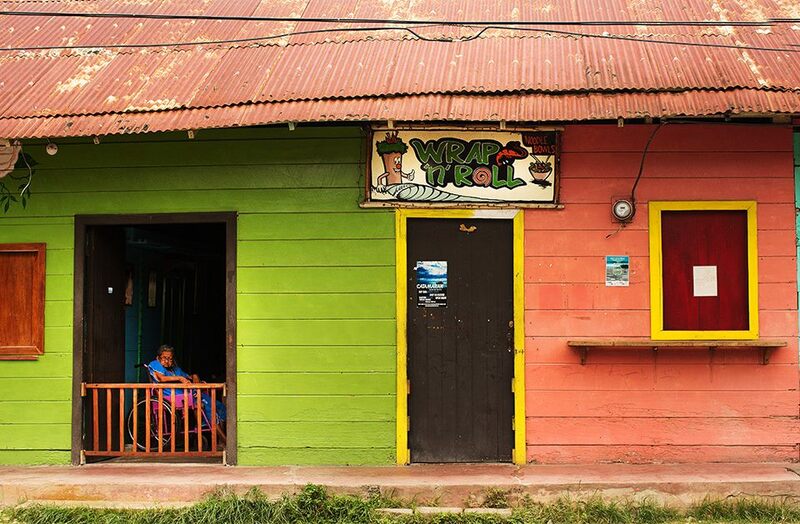 *Boutique Hotels: From eco-lodges to tiny boutique hotels on Ometepe Island, Nicaragua has them all. Pelican Eyes in tiny surf town, San Juan del Sur, is a hotel with regular rooms, villas and townhouses all rolled into one, making it a very unique hotel. Hotel Plaza Colon, built in a traditional colonial home, is a charming hotel right in the center of Granada. And Morgan’s rock, just north of San Juan del Sur, is a beautiful eco-lodge that has a touch of luxury, including rooms with their own pools. In addition, the lodge has numerous activities, such as Catch your Own Shrimp and Breakfast at the Farm (all food is grown on site). This is an award winning, “off the beaten path” resort. *Luxury Resorts: Yes they exist! And they are getting more and more popular. Aside from Morgan’s Rock, there is also Makul Resort, just north of San Juan del Sur on the Emerald Coast. A fantastic option for luxury Nicaragua. Voted on the Hot List in 2016 as “One of the best hotels in the world” by Conde Nast Traveler, Makul is making a huge name for itself. It’s a perfect “family friendly Nicaragua” resort. A beautiful spa, gorgeous views of the ocean and innovative restaurants make this resort a perfect choice for the more discerning family vacation. Rancho Santana is also a beautiful option for families looking something above a typical 4 star, but in keeping with a rustic, Nicaraguan charm. A combination resort and residential community, “the Ranch”, is the only resort on the Pacific Coast located on an isthmus – a strip of land located between two bodies of water….in this case, the Pacific on one side and Lake Nicaragua on the other. The resort has standard rooms within a resort house, villas towards the jungle and jaw dropping mansions located on cliffs overlooking the crashing waves. Ummm, what isn’t there to do? Nicaragua has everything from amazing surfing and ziplining to horseback riding, to cultural tours. Much of the time we spent there was exploring several beaches. A favorite was Playa del Coco, just south of San Juan del Sur. Totally unspoiled – we were practically the only people on the beach – and consisting of a few ocean front homes and lots for sale, a restaurant with good food and a pool attached. It was amazing. Another beach was Playa Marsella. 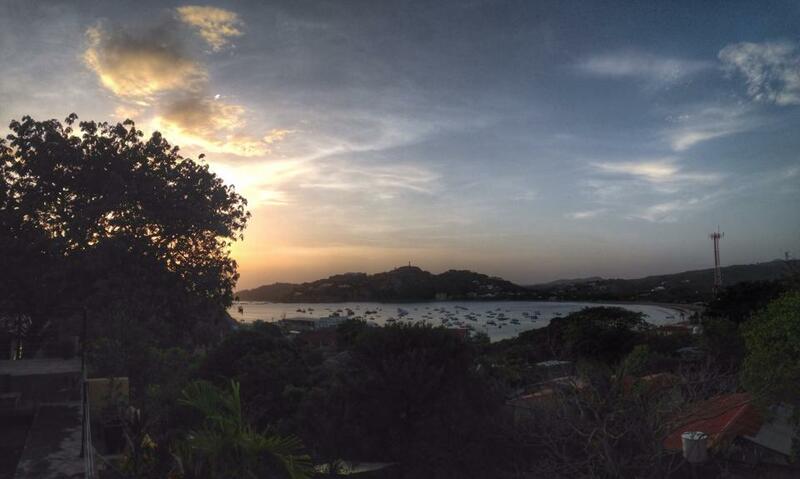 Again, a few random homes and tiny boutique hotels and a beach bar/restaurant that was a shack – we loved it. Unspoiled, no people and good beer. It was perfect. There are plenty of tour companies to help with a variety of activities – our favorite is Iskra Travel. A favorite cultural tour is a general day tour of the colonial city of Granada. Colorful houses, horse-drawn carriages, cigar factories in former colonial homes….the list goes on and on. The people are amazingly friendly and so eager to show off their heritage and history. A favorite place for lunch is Garden Cafe, a cafe in a renovated colonial home, opened by Damien Hopkins from California and Xiomara Diaz from Managua, who met at University and decided to open their own business. I’m always extolling the virtues of family friendly Nicaragua and people are starting to take notice. We’ve been talking about buying property there for a couple of years and see the prices rising faster and faster. The country is eager for tourism and building more and more. If you want to catch Nicaragua in its unspoiled state, now is the time to go. In my opinion, any time is the right time to visit and experience the culture of Central America. Thinking about visiting Nicaragua? I can help! “Reconsider travel to Nicaragua due to crime, civil unrest and limited healthcare availability. Yes I’m aware of this. It’s such a shame.